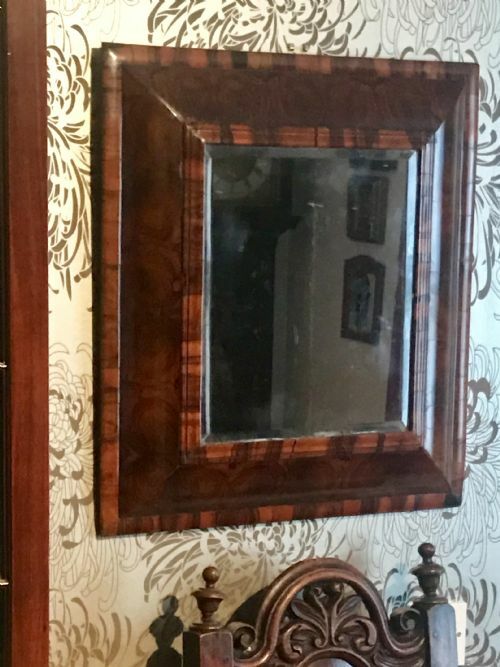 A truly beautiful William and Mary period walnut and oyster yew-wood mirror frame; the plate is old but not the original. The veneers are of quality and have a good colour and patina. SIZE: 21.75 x 20 inches. PROVENANCE: From a collection in a Devon 15th century hall house. William and Mary walnut cushion framed mirror, c.1690 and later. Lovely golden colour, beautiful walnut end grain veneers with good surface patination. 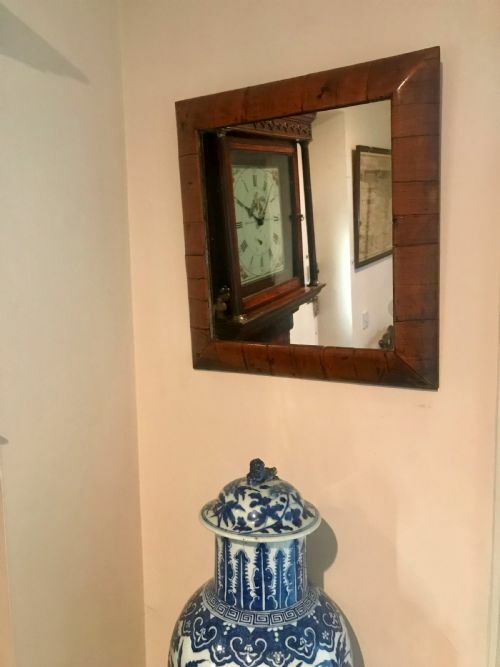 As is often the case, the mirror plate is later. Although when on the wall this seems an untouched 17th century piece, the back reveals that the veneers have been removed from the original frame and skilfully reapplied to this late 19th or early 20th century one. Why? Impossible to say, but probably to replace a worm or damp damaged frame. 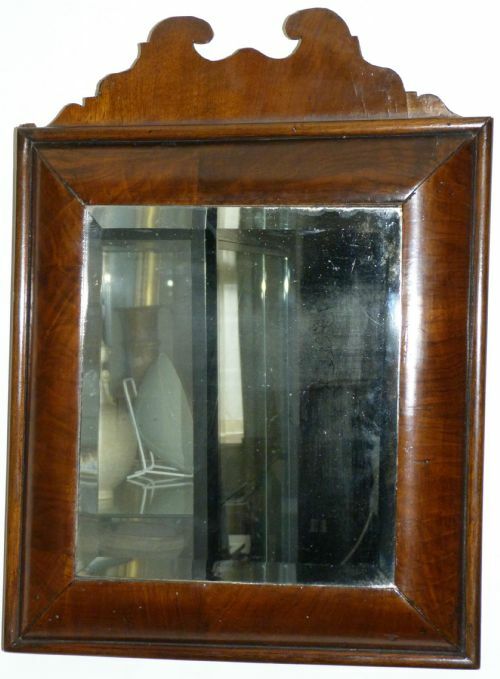 Nevertheless, this is a beautiful little period mirror offered at a price about a fifth of the usual price. SIZE: 16.5 x 15 inches. This is a fine quality carved and giltwood oval frame c.1685-1725. A work of art in its own right, these oval frames are very hard to find. It retains its original beautifully patinated gilding and is in excellent condition. 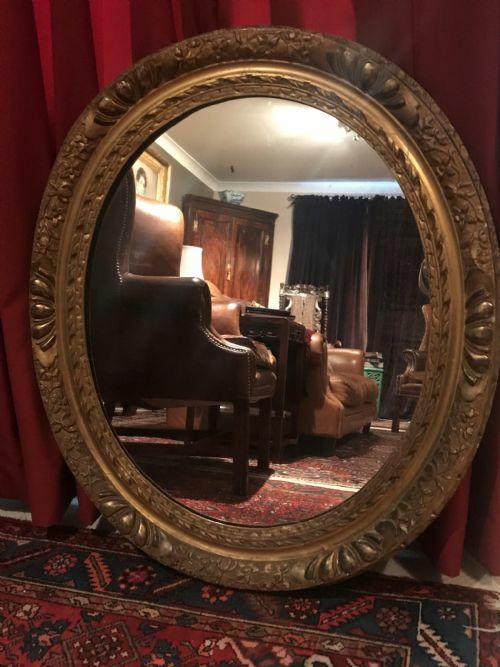 An old, slightly distressed mirror now occupies the frame and has done for some time. SIZE: 37.25 x 32.25 inches; interior 30 x 25 inches. 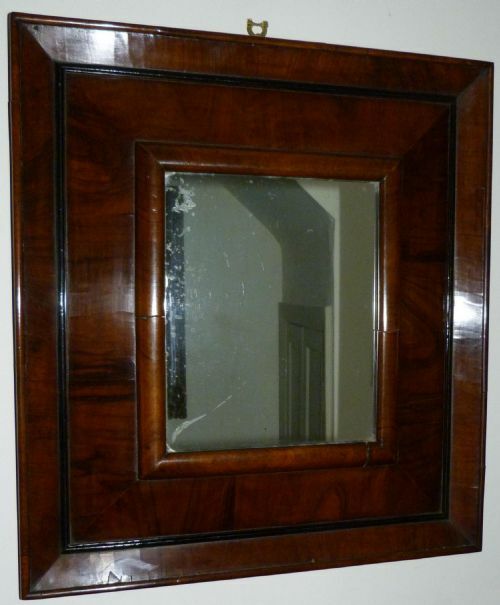 A fine walnut framed mirror, George I period, c.1720. Good condition and excellent colour. Mirror plate old but not original. mirror size 11.75 x 9.6 inches.